Be Your Own Hero: So there's this BOY... + Giveaway winner! So there's this BOY... + Giveaway winner! And here is the complete look! Hadn't showed you this beautiful backpack I found at Primark yesterday, I personalized it with some pins I bought in Madrid. 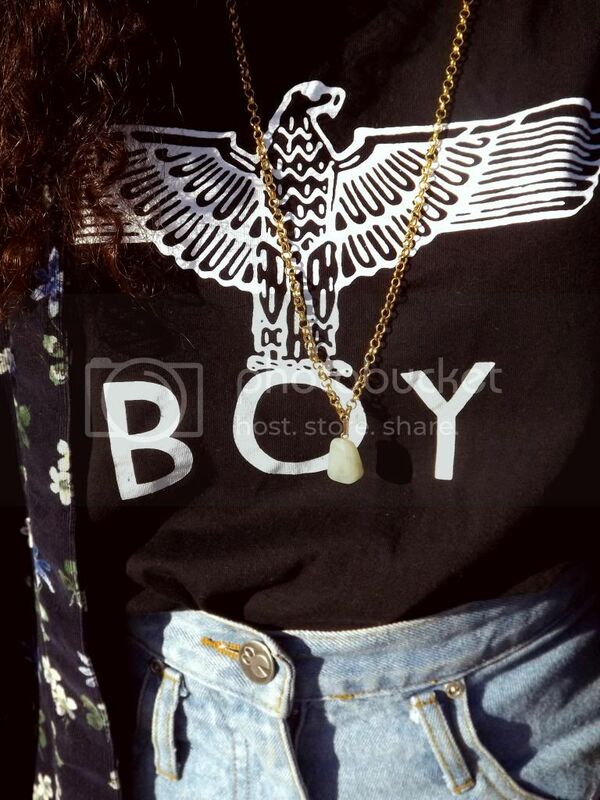 It goes so well with the BOY London T-shirt, I love this print even more each time I look at it! And because it's black and white it's really versatile! I love it! 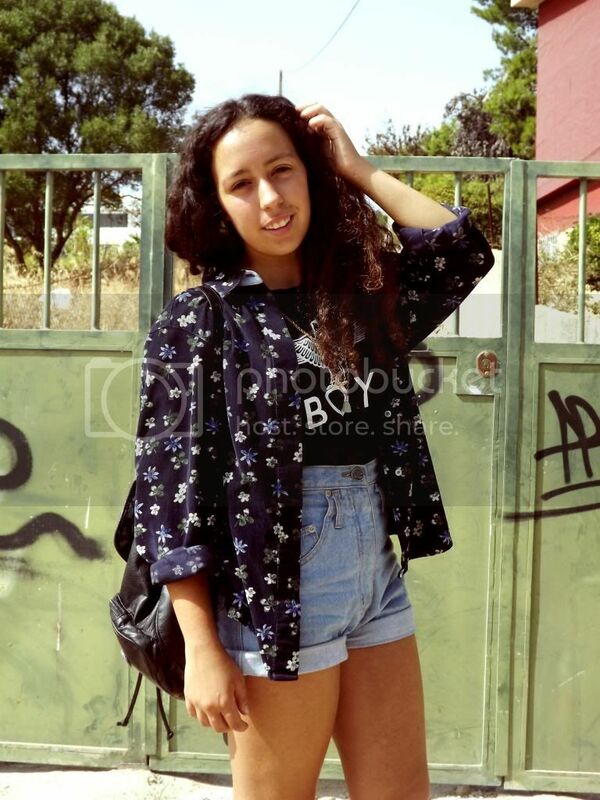 The shorts have been one of my must haves this summer, mainly because of it's vintage look. Also found these boots hiden somewhere in my closet, never liked them that much but silly me, I don't know why because they're amazing, be prepared for some more outfits with them! As for the Giveaway Winner, it was Tatiana Castro! Congrats! Already sent you an email. for the rest of you, don't worry because there will be some more surprises soon! E aqui está o look completo! Ontem não cheguei a mostrar esta mochila linda que comprei na Primark, e depois personalizei com alguns pins que trouxe de Madrid. 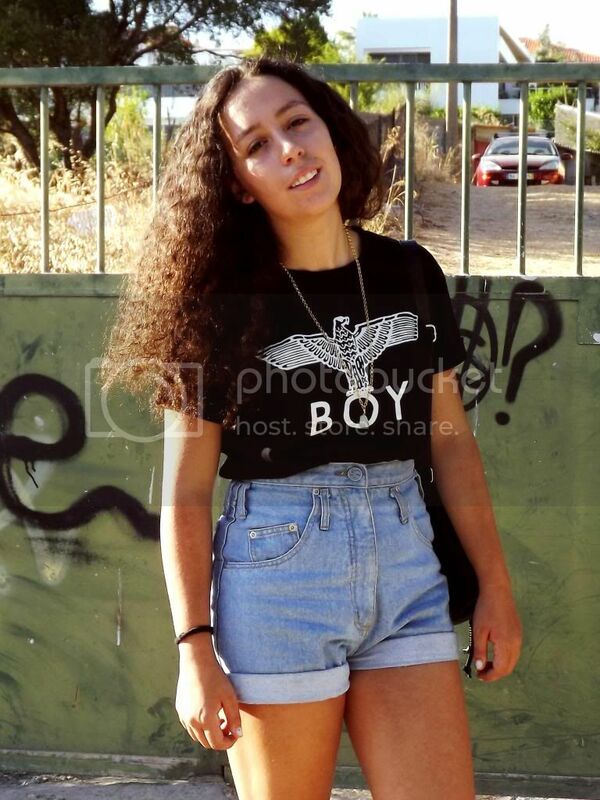 Fica tão bem com a T-shirt da BOY London, cada vez gosto mais deste print! E por ser preta e branca, é tão versátil, adoro-a! Os calções bem têm sido um must have, principalmente devido ao seu ar vintage. Encontrei estas botas escondidas algures no meu armário, nunca lhes achei piada, mas agora tenho-lhes dado imenso uso, vão aparecer por aqui muito mais! 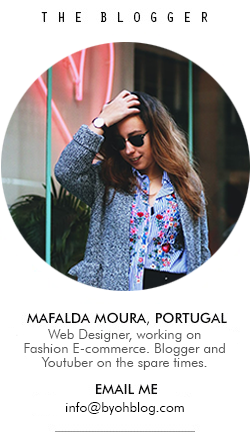 Quanto à vencedora do Giveaway, foi a Tatiana Castro! Parabéns! Já te enviei um email. Quanto aos outros, não se preocupem que estou a preparar mais surpresas! 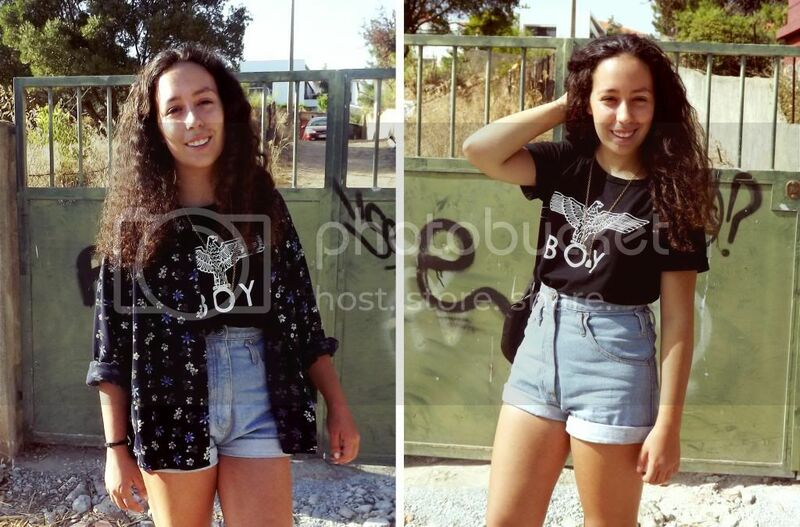 Love the boy tee :) but i´m in love with your floral shirt, so beautiful. I like this outfit! This looks very relaxed! Awesome look! And I love your necklace! Awesome outfit! 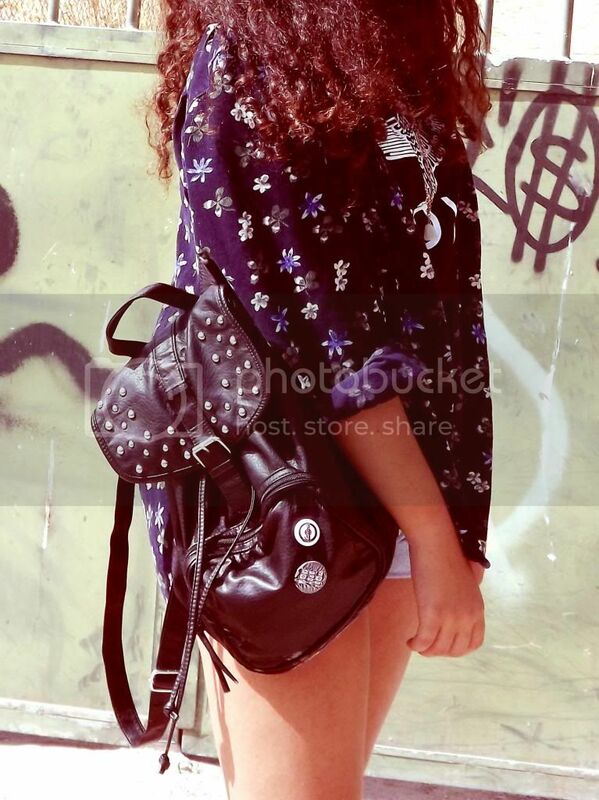 I love the grunge style shirt, shorts and boots paired with the girly floral shirt! You totally rock this! The shorts are so flattering and cute :) Thank you for being so lovely and stopping by my blog! I'm loving yours! Adorei o look, está muito giro! Já agora, quanto custou a mochila? Preciso mesmo de compra uma assim. I love this tee and the super cool shorts! Lovely! Happy Weekend <3 ,big Hugs! This is absolutely perfect!!! 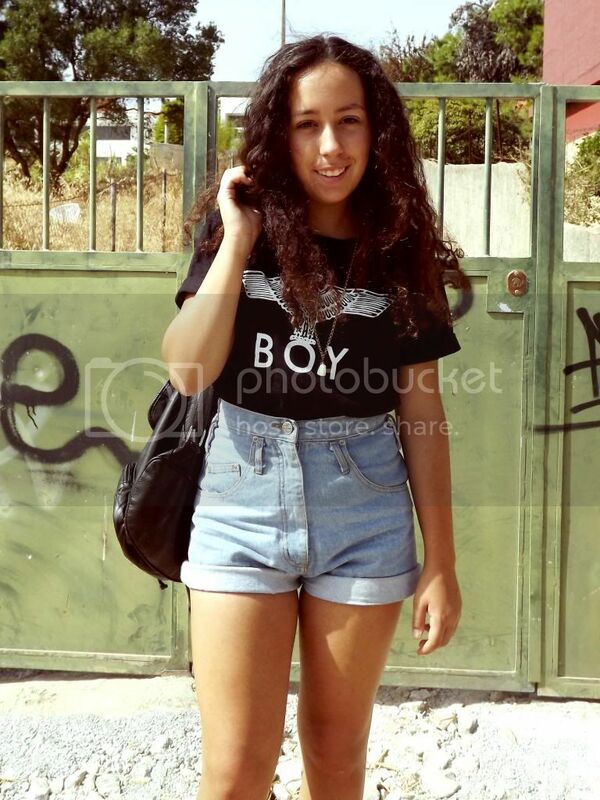 love your tee and shorts! 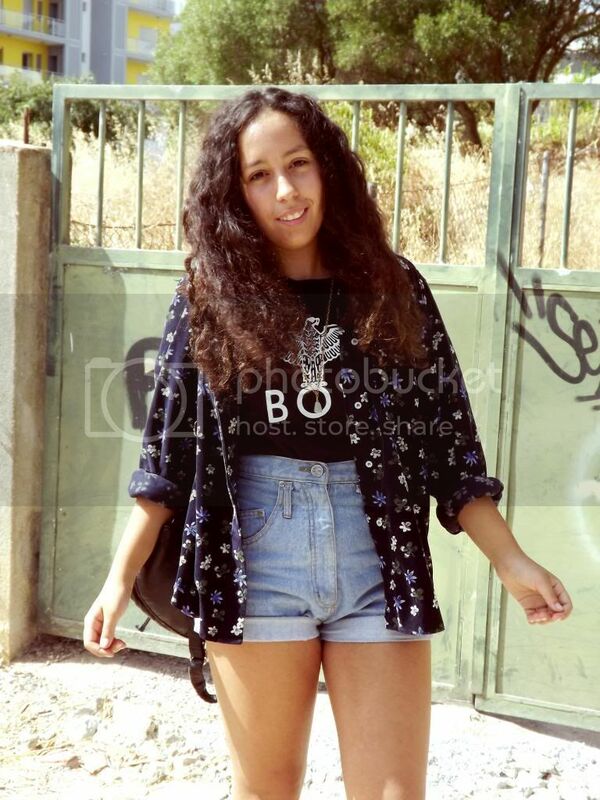 O outfit ficou muito giro, adoreiii! Adorei tanto este post! Ai essa t-shirt....mesmo per-fect! O teu blog está cada vez melhor! gosto muito do look, e adorei a combinação. a t-shirt é linda, e o teu cabelo está super giro. adorei este post :) esses calções são lindos!